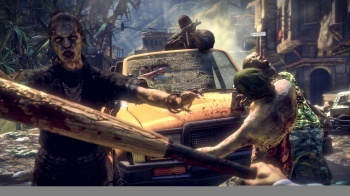 Deep Silver has made it abundantly that Dead Island 2 is not currently in production. Despite a few launch hiccups and more than a few bugs, Dead Island managed to sell over three million copies; largely thanks to some excellent melee combat, an addictive loot system and of course, one of the best game ads in recent years. Many assumed that Deep Silver would begin work on a sequel (Dead Archipelago perhaps?) straight away, and that seemed to prove true when IGN Germany reported that Yager Development was hiring artists to work on the sequel following the completion of Spec Ops: The line. Deep Silver, however, is calling shenanigans. "We are neither working with Yager on Dead Island 2 nor do we have any contractual agreement with Yager about any project at this point," said Deep Silver Development Director, Guido Eickmeyer. Â "Yager and Deep Silver do have a very close relationship, based on personal and professional connections between the parties," he continued. "There is a legitimate chance that we will - at some point - work together on a title - and I would not even exclude the possibility that this could be something within the Dead Island franchise. We have the greatest respect for this team, we absolutely love what we have seen so far from SpecOps - and we are constantly discussing potential opportunities. However, we have neither something in place or in discussion between the parties that would explain such a news, nor do we have Dead Island 2 in concept or production with external partners." While it was a little rough around the edges, Dead Island oozed potential. Our own Susan Arendt gave it a respectable four out of five, and even named it her third favorite game of 2011. I have no doubt Deep Silver will eventually return to the IP, it was too successful for them to ignore it, it's just a question of when.